Since the outbreak of the Green Poison in New York City and the failed attempt of stopping the virus in Washington, D.C. by using a yellow powder called DC-62, three Dark Zones and five Contaminated Zones emerged within the city trying to contain the virus. DC-62 was initially supposed to be the cure for all this but instead brought only more distress and death to the people of D.C. 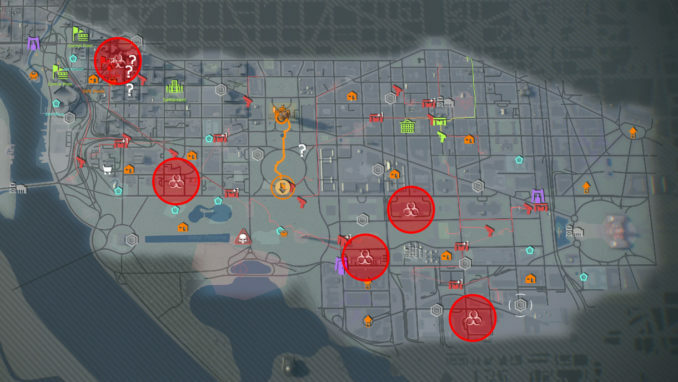 The Contaminated Zones in The Division 2 are marked with a red hazardous symbol on your map. Because everything that got in touch with DC-62 got contaminated to some extent, you will mostly find dead bodies and hazardous materials in these highly infected areas, but also 15 Comms Collectibles (3 per zone) which will unlock the Contaminated Area Backpack Trophy – a tiny traffic cone. 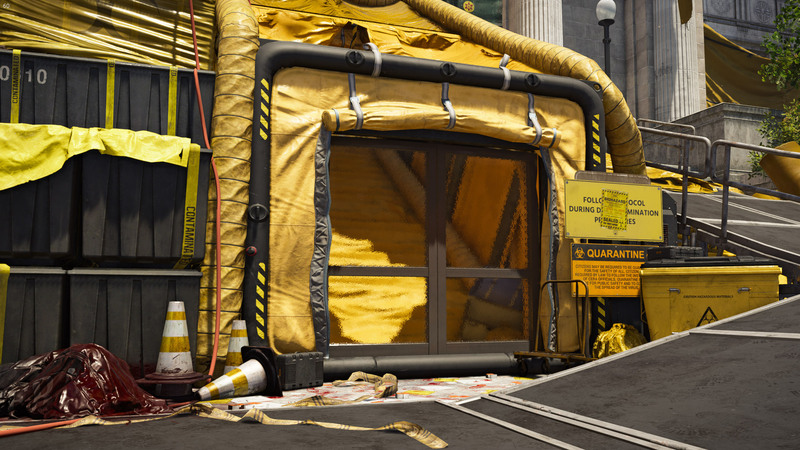 Prepare yourself for some interesting stories from citizens who experienced the outbreak. You can find all locations of the Contaminated Zones down below. Once you have collected all collectibles (see video for how to get them) in one area, the icon’s color will change from red to white. There’s also a Hunter hiding at the Contaminated Zone close to Dark Zone South.